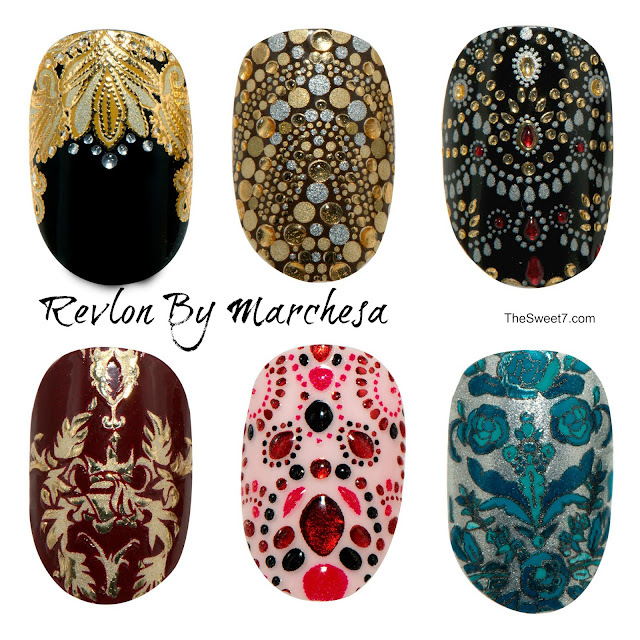 Marchesa is renowned for its elegant, feminine and elaborate clothing designs, and the brand's new 3D nail appliques in collaboration with Revlon are no exception. Intricately detailed with tiny jewels, the six different designs. Each reference a gown from Marchesa's autumn/winter 2013 collection available now. Further Revlon by Marchesa collaborations will launch in 2014 such as lip and eye cosmetics, nail polish and beauty tools. Ohhhh bedazzled carnival nails! Anyone? ... And FALL is here. Crown Jewels layered over Revlon Nail Enamel in Knockout.